Reference tools such as dictionaries and encyclopedias are good places to start your research because they provide an overview of the topic as well as keywords, dates, and facts. Titles with Call Numbers listed are available in print form at the campus library. You can view the book's record to learn more about the book. Reference books cannot be checked out. Copiers are available in the library for student use. The Cambridge dictionary of sociology. by Bryan S. Turner, ed. Available in the Reference Area of the Milton Campus library. An essential, scholarly guide to the field of sociology, with contributions from leading international academics. Available in the Reference Area of the Pensacola Campus librar. This reference for students contains alphabetically-arranged entries on a variety of terms and concepts encountered in the study of sociology. Many of the entries include illustrative examples in addition to a definition; occasionally, black and white illustrations and tables accompany the text. Available in the Reference Areas of the Milton and Pensacola campus libraries. Of the nearly 7,000 entries, about 500 are new, and another 1,000 have been revised. The focus is on American culture, and foreign readers have been pleased to learn the meaning of several obtuse popular phrases and usages. Pronunciation guides are provided for many entries. The following titles are available to Pensacola State College students through the online catalog. To use the title, click on the link, then click on the Pensacola/eResources link and log in. This is the electronic book version of the 3rd edition, which was published in 2005. Log in with 14-digit PSC ID and 4-digit PIN. Login with 14-digit PSC ID and 4-digit PIN. This eBook is available as part of the Gale Virtual Reference Library. 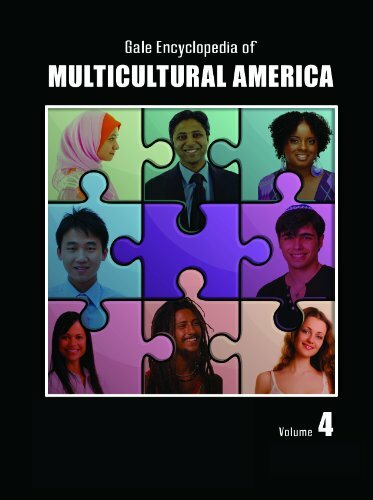 Contains 152 original essays (about 8,000-12,000 words each) on specific minority and ethnic groups in the U.S., with an emphasis on culture (religions, holidays, customs, language) in addition to information on historical background and settlement patterns. The Encyclopedia also covers ethnoreligious groups such as Jews, Chaldeans and Amish.